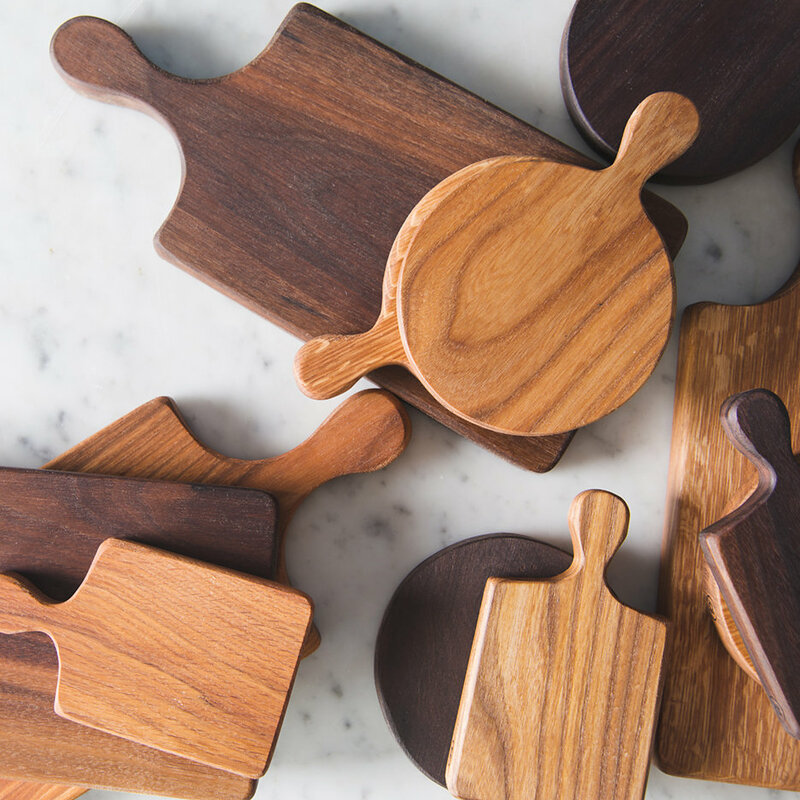 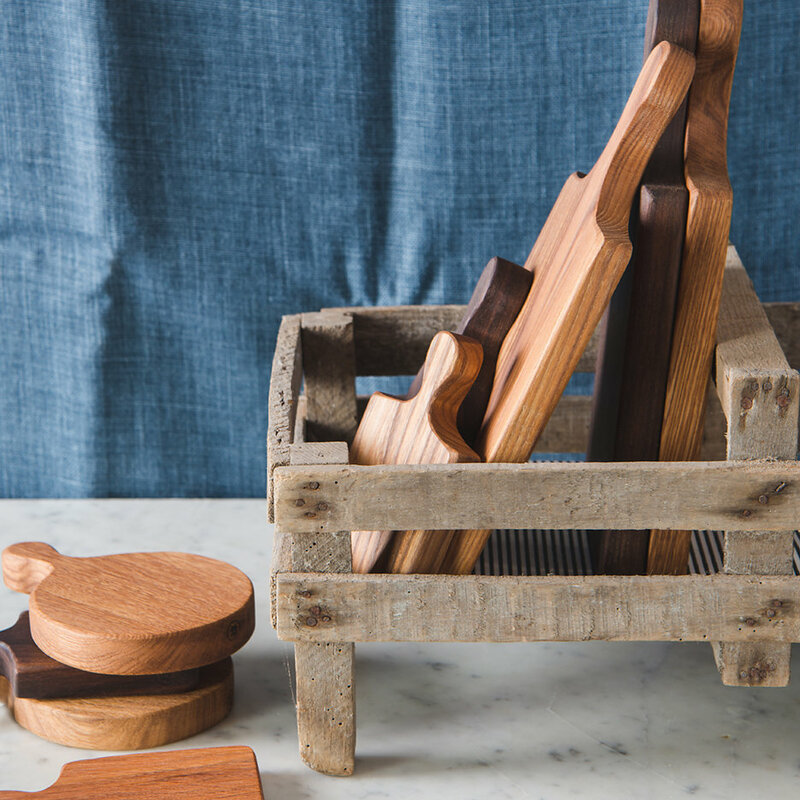 A wonderfully tactile, rustic yet smart chopping board which happily doubles up as a board to serve charcuterie, cheese or canapes. 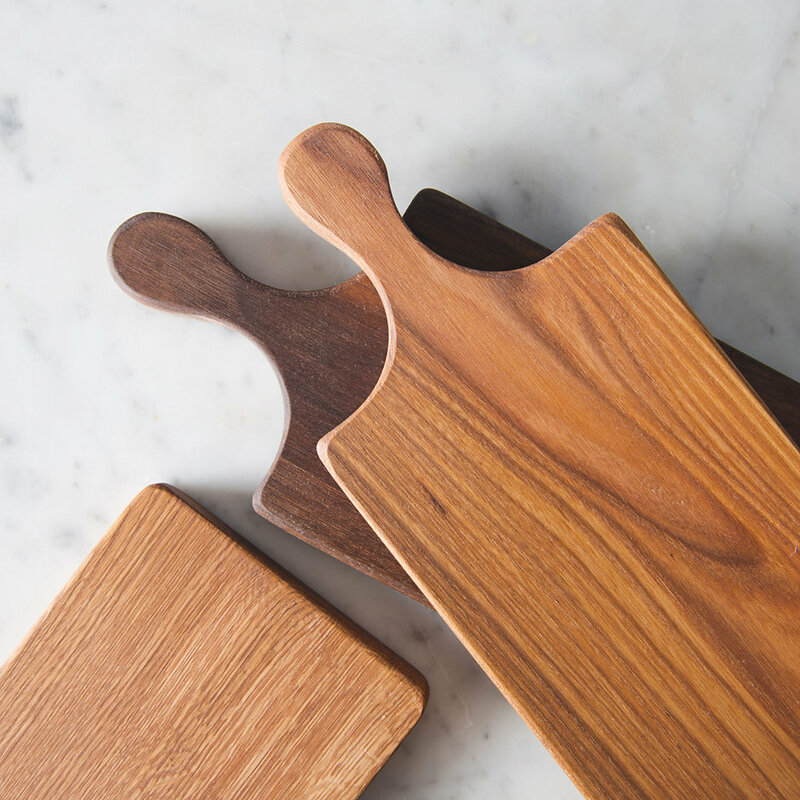 This is surely the Mr Darcy of boards with its rich, dark and smoldering good looks. 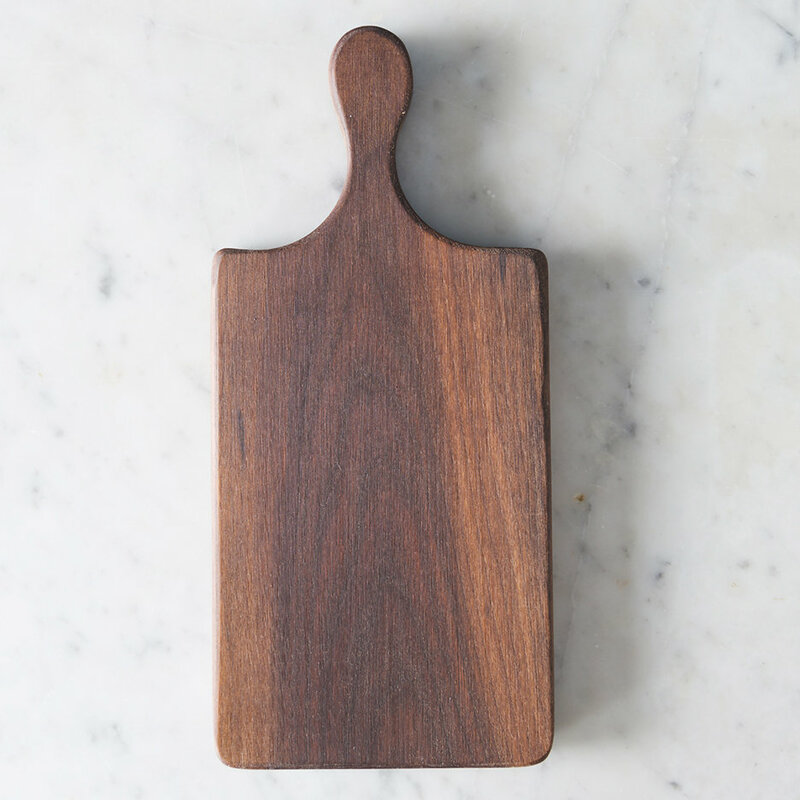 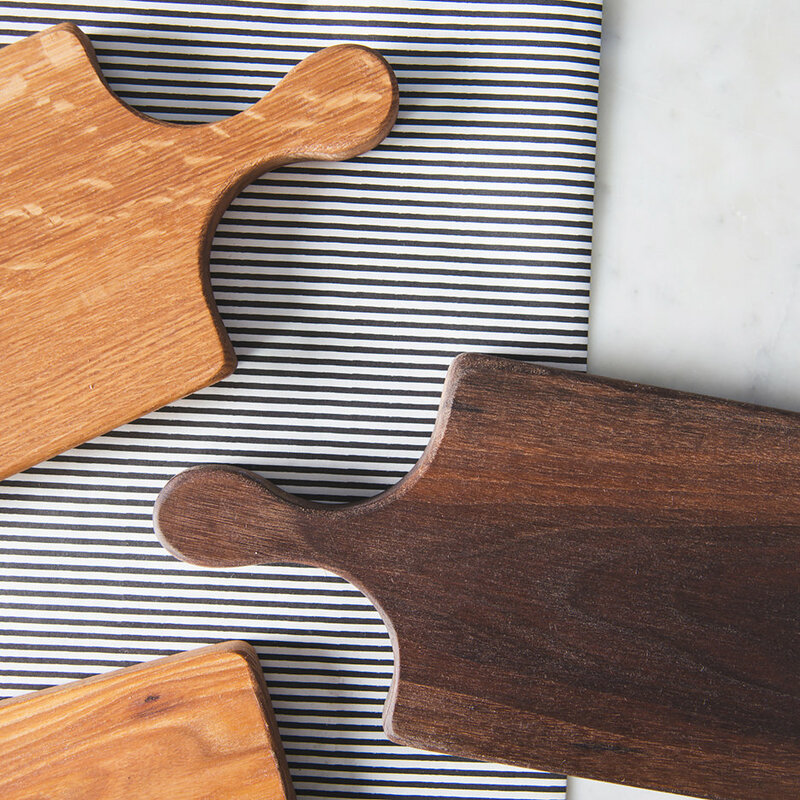 Handmade in the wilds of Devon each board has its own individual character – with its clean lines and simple form, this medium sized board is perfect in a farmhouse kitchen or Notting Hill crash pad.